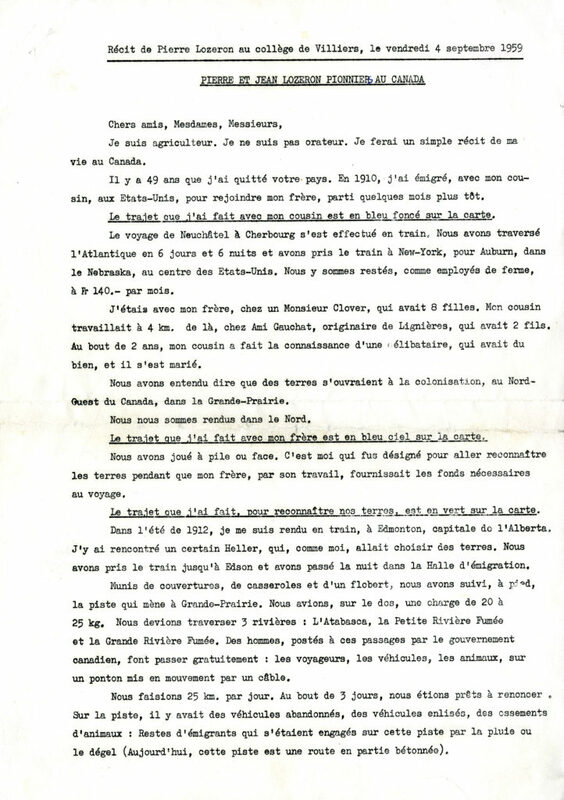 The archives recently received a query from a researcher in Germany. 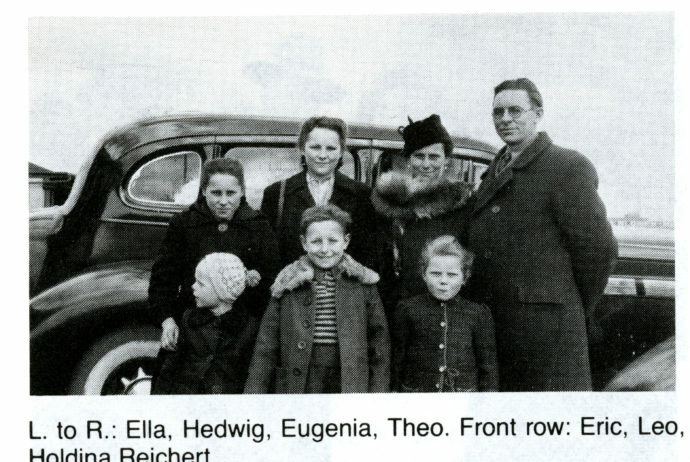 Jürgen kindly gave us permission to share some of his family’s story on our blog today. “My paternal family lived for several generations until the Second World War in a small village west of the town of Lutsk in Volhynia, now Ukraine. They were descendants of German colonists who had left their homeland in the 18th century to seek a better life in the East. Almost all of them were farmers. At that time, life there was really not easy and people had to work very hard to make ends meet. In the late 1920s, the population in the villages had grown so much that there was not enough land left to feed all of them. Therefore, many families decided to leave Volhynia. They emigrated to distant countries like Brazil, Argentina, the US and Canada. A few of my relatives sought their fortune overseas. One of my father’s oldest cousins, Alvina Reichert (Mundt), emigrated together with her husband Arnold and their children to Canada in 1929. In the first years, they maintained contact with their relatives left behind in Volhynia, but after the end of the Second World War they certainly lost touch. 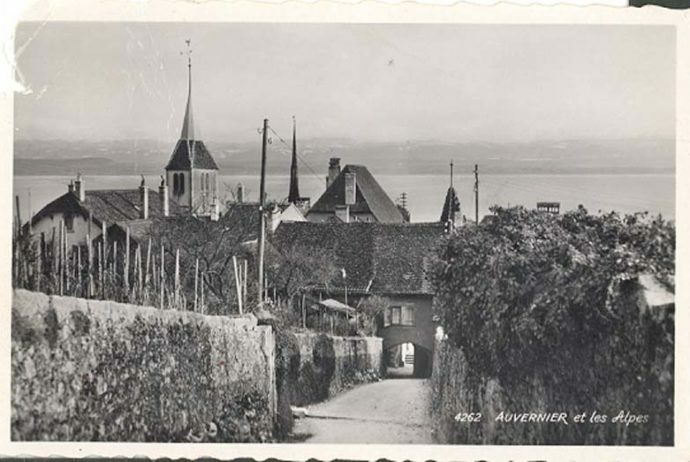 I have already been researching my family history for several years and one day, I wondered how the life of Alvina and Arnold had gone further after they had arrived in Canada. Unfortunately, I did not know exactly where they had settled in Canada. So I started looking for any clues of them on the internet. Finally, I discovered this wonderful website of the South Peace Regional Archives. There I found the names of my relatives listed in the database “Compiled Community Book Names Index”. Then I contacted the archive by email and I asked for assistance. I was surprised to receive an answer to my request the same day. The staff were extremely friendly and they helped me a lot in my search for information about my relatives. Really amazing! I am very happy to have found this website and I recommend it to anyone who wants to do research in this region. Many thanks and kind regards from Germany! Cemetery Tours: Sign Up Today! South Peace Regional Archives is hosting two cemetery tours this summer and we’re inviting you to join in! On Wednesday, July 11 and Wednesday, August 8 at 7:00 PM we will be hosting our annual cemetery walking tours. 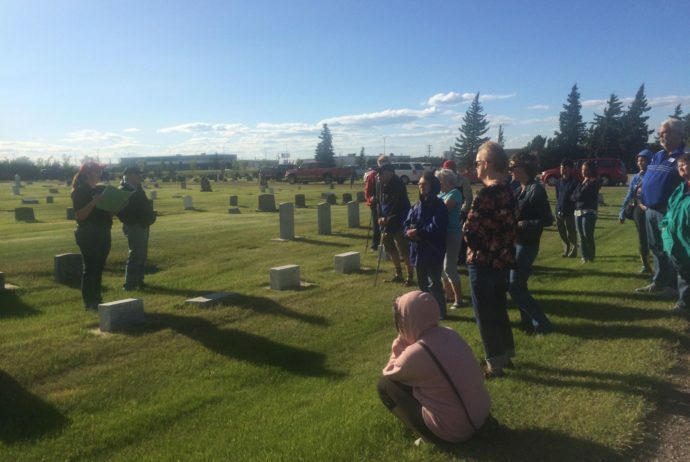 Join us at the Grande Prairie Cemetery (84 Avenue and 112 Street) to discover the rich and interesting history of Grande Prairie and area through the lives and stories of its people. 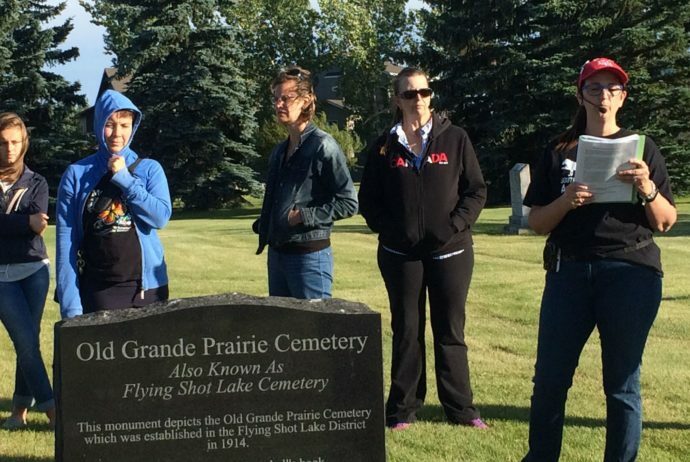 The July tour will explore the history of notable persons from Grande Prairie. The August tour will explore the history of Indigenous peoples from the area. 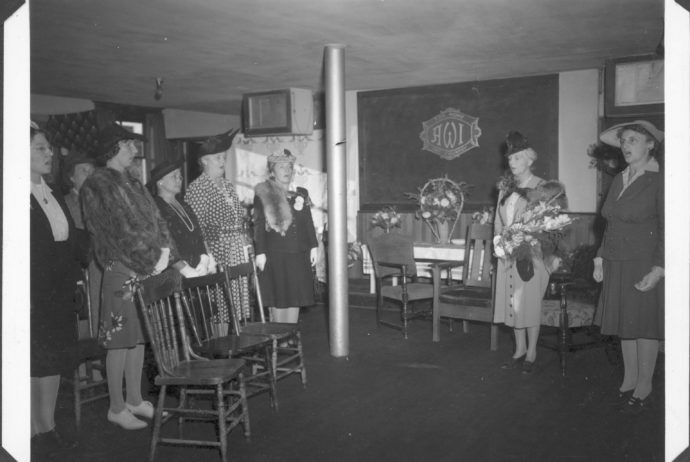 Please note the Archives will be closed on July 2nd for the Canada Day weekend. Join us on Sunday, July 1st at the Grande Prairie Museum for free tours and activities.